A hit and run collision occurs when one vehicle, strikes another vehicle, and then flees the accident scene. It’s a criminal offence, and an offence under the Highway Traffic Act to flee the scene of a car accident; especially one where somebody has been hurt in a car accident. The motivation of an at-fault driver to flee an accident scene varies. Some negligent drivers are in denial that an accident ever happened and deny that the accident ever took place. Other negligent drivers are driving their cars without insurance, without a license, or had their license suspended and just don’t want to get caught by police. Other negligent drivers may be driving drunk, or under the influence of drugs. These drivers also might not want to get caught, or believe that the penalty for fleeing an accident scene is far less than getting caught drinking and driving. Another excuse you hear from at fault drivers is that they were in a hurry, and tried to exchange information with the accident victim, but the accident victim was unresponsive, so they left their contact information with them (when in fact they didn’t), and the fled the accident scene. There is no excuse for fleeing an accident scene. It’s wrong on so many levels. 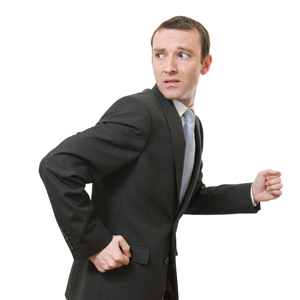 The good news is that wrong doers often get caught and penalized by the authorities. When the injuries are severe, the media will often cover the accident, and alert the public that the police are on the lookout for a certain make, model and year vehicle. The description of the at fault driver will also be released. The result of the ensuing manhunt is that the perpetrator will often get caught and feel the full force of the law. Our law firm has found that the later at night the car accident, and the more remote the area, the greater likelihood that the at fault driver will try to flee the accident scene. Hit and run collisions can result in brain injury, spinal cord injury, paralysis, chronic pain, psychological injury, broken bones, fractures and a multitude of other personal injuries. The most important thing is for the accident victim to get proper medical treatment following the car accident. One of the biggest concerns our clients have following a hit and run accident is that if the negligent driver is not caught, then who can you sure? This is a very good question, and a completely legitimate concern. The answer is that all car insurance policies in Ontario contain a provision against uninsured or unknown motor vehicles. Essentially, your own car insurance company will step in place of the unknown at fault driver and indemnify you for your pain and suffering damages, loss of income, loss of competitive advantage, or any other claim which you have at law. If your own insurance company pays you $850,000 for your damages, they will then have a right to find the at fault driver, and sue them for the amount they had to pay out to you. This is called a “subrogated interest” which is held by your own insurance company to seek indemnification from the at fault driver in relation to your hit and run accident claim. 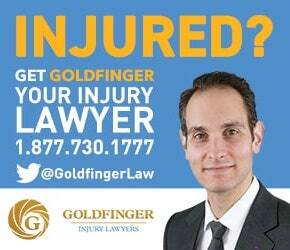 If you, a family member or a loved one has been a victim of a hit and run car accident, we here at Goldfinger Injury Lawyers would be pleased to assist you with your claim. All of our consultations are free, and you won’t have to pay any legal fees for your case until it settles. Our lawyers have experience in getting the facts and information from the police, doctors and hospitals to properly try hit and run cases. We want to see you get the results which you deserve. We also want to see that justice is served against the negligent driver who did this to you. We look forward to assisting you as best as we can.